J'ONN J'ONZZ aka HANK HENSHAW: J'onn J'onzz is the sole survivor of Mars. After being discovered on Earth, J’onn was tracked down in a remote location in Peru by the D.E.O. However, Jeremiah Danvers saved J’onn's life by giving his own to stop Hank Henshaw, with J’onn promising to watch over Alex Danvers thereafter. Disguising himself as Hank Henshaw, J’onn took over as the head of the D.E.O. J'onn J'onzz is played by David Harewood. 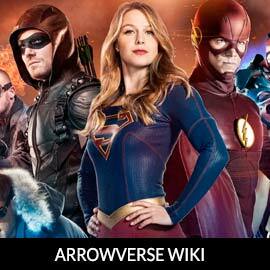 For more info on J'onn J'onzz, including his powerset, check out our partners at ArrowverseWiki.